Lisa Heinze : Sustainability with Style: are you a 1 million women woman? 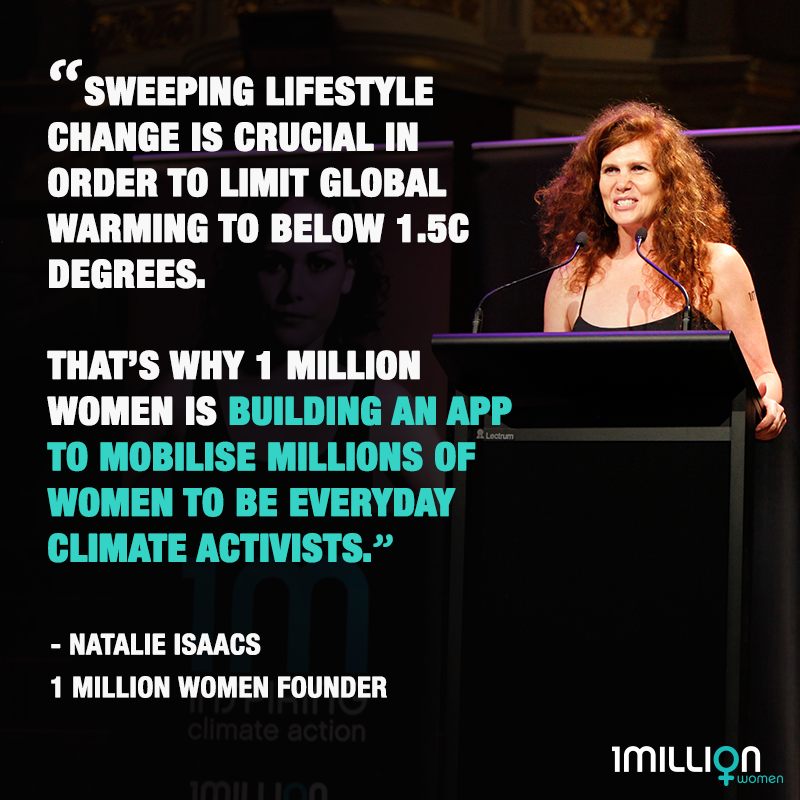 are you a 1 million women woman? As many of you already know, I'm a huge fan of the climate advocacy non-profit group 1 Million Women. I write about my experience volunteering with 1 Million Women at the Easter Show in Sustainability with Style (and being somewhat starstruck by their inspiring founder, Natalie Isaacs). And last year I helped host a successful clothes swap on their behalf in Sydney's Northern Beaches. Now they are expanding their reach even further with the development of an app to help women plan their eco-lives and track their carbon reduction commitments. My favourite feature of the app is that it makes it easy for you to track how much carbon pollution you’ve individually saved. I love this concept! Now I'll know just how much of an impact I have every time I choose a veggie burger over a beef burger, or make a sustainable fashion purchase (or non-purchase), or use up all the food in my fridge. In order to make this app a reality, 1MW are running a crowdfunding campaign through Tuesday 7 July. And the really great news is they've already reached their target goal - awesome! There is no doubt in my mind that the climate movement is a movement of the people. There is still the opportunity to help them reach their stretch goal to make the app as great as it can be (and anyone who's ever commissioned a tech project knows the likelihood of a budget blow out). So just head over to their Start Some Good page and make a contribution. Depending on your commitment, you can get a profile on their blog, a Facebook shoutout, or an invite to the launch party. 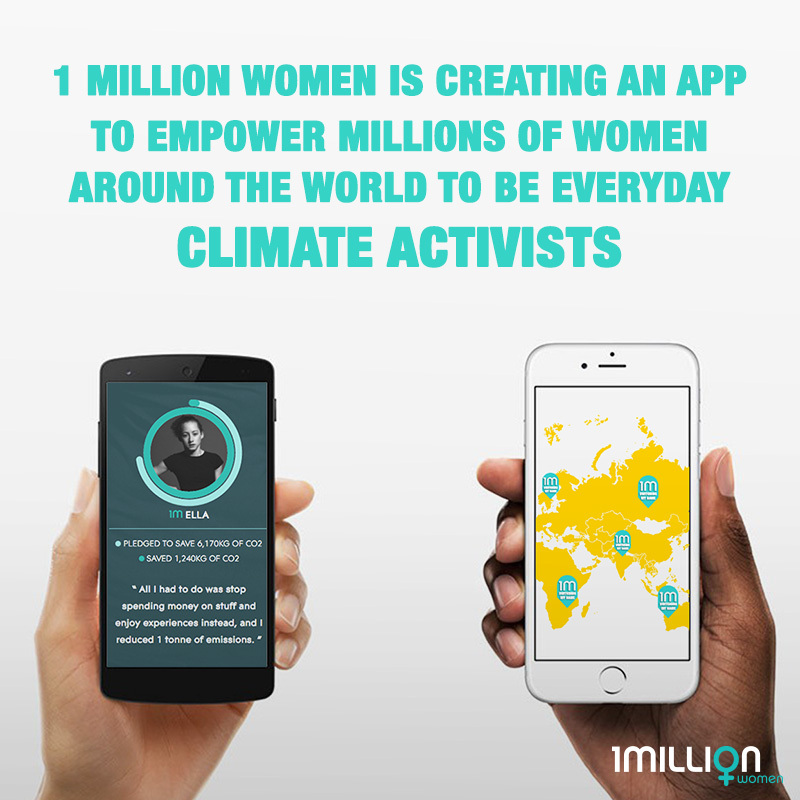 The app will be available later this year to women (and men, and children) around the globe. This sounds fantastic. Just make sure not to persuade people to become vegans because there is something terribly wrong about the methane emissions from ruminants. These emissions must have been much larger about 150 years ago because there was a much larger biomass in ruminants than today. secondly, the more humans fight red meat the more will red meat and wildlife dissapear because farmers and communities living with wildlife have to switch to something else to make a living from. Well, I won't tell everyone to become vegan, but I'm not convinced by your argument to maintain red meat consumption. It's very well-documented that the livestock industry has an incredibly high environmental footprint, and indeed leads to some biodiversity loss as land is cleared for cattle grazing. But I still enjoy a delicious (grass fed and hormone free) beef steak or burger a couple times a year!